The holiday season is full of holiday gatherings and parties! Traditional appetizers can not only pack calories without nutrients, but may be overdone this time of year. Try some of these Dietitian approved appetizers to bring to your next party. Your guests may be surprised at the main ingredient on the avocado mousse! 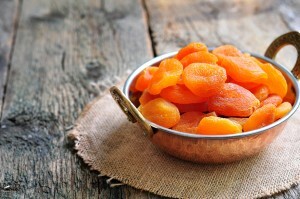 Place the apricots on a serving plate. Top each one with a little 1/4 teaspoon scoop of goat cheese and smoosh it down a bit. Grind some pepper over the whole plate. Top with fresh pomegranate seeds and enjoy with pita chips! Pair with carrots and pita chips!